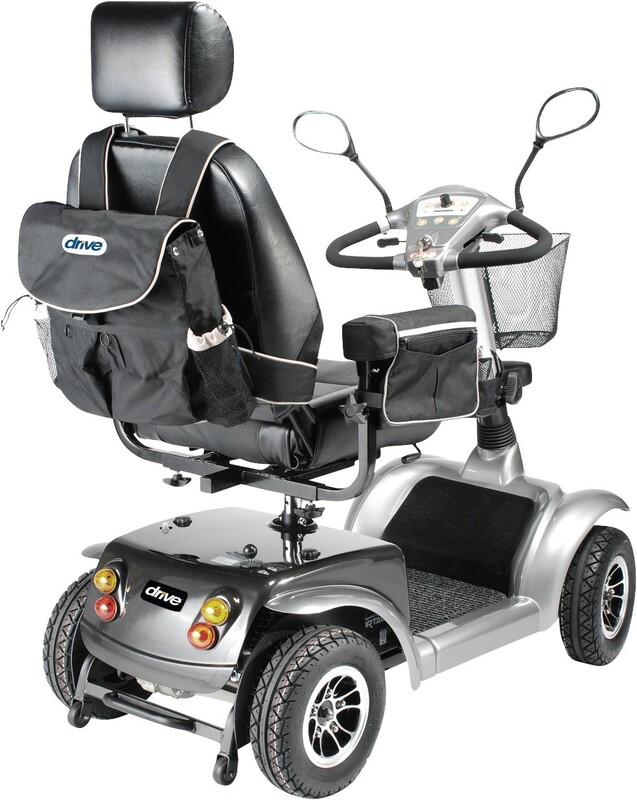 The Power Mobility Backpack by Drive Medical attaches to the backrest of your power scooter or wheelchair, out of your way. This large, backpack style bag can easily hold a netbook or a tablet and accessories. This Backpack is also a great way to carry around a newspaper, book, folding cane, or anything else you may need to carry with you while on your power scooter or wheelchair.